The spinning Zangbetu mask from the Voodoo culture of Benin is assigned guardians who guide it around the village. 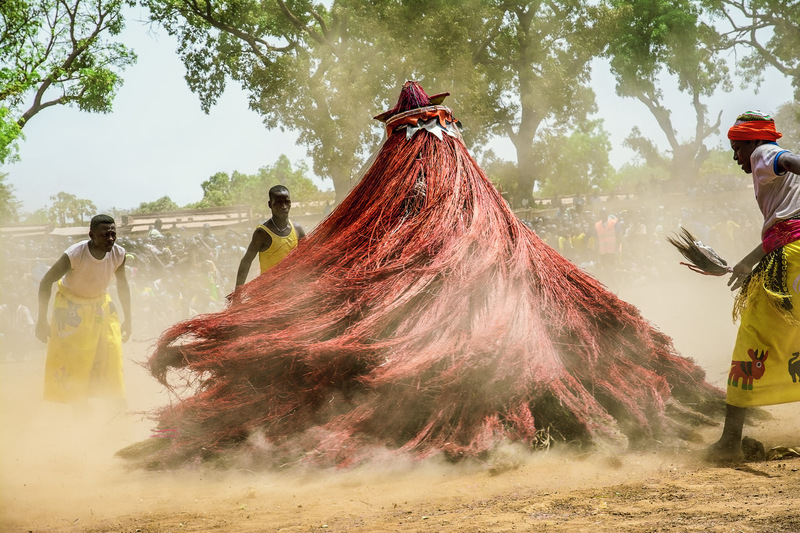 According to Yoruba and Fon legends, there is no one inside the whirling mask except night spirits, and its spinning dance represents the protection and spiritual cleansing of the village. It is believed to be so powerful that if it touches a human being as it spins then that person will die.